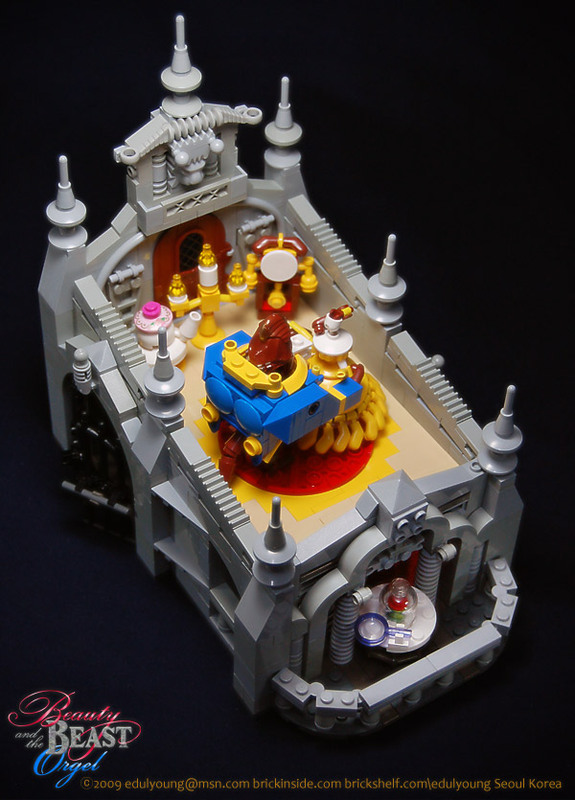 Ok so not exactly Aladdin but this MOC is too beautiful and genius not to mention here. Besides I’ve a weak spot for Beauty and the Beast anyway. Look at the builder’s Brickshelf account for more pictures there’s even a movie showing that Belle and Beast dance on the music when turning a handle around. “Op Zoek Naar Joseph” or “J?” is the Dutch version of the television audition show “Any Dream Will Do” where 11 consterest are fighting for the viewers sympthy and support to win the leading male role of Joseph in Joseph And The Amazing Technicolor Dreamcoat. The famous hit Andrew Lloyd Webber musical based on the Bible story “Coat of Many Colors” You’re probably famillair with the show as it was co-written by Tim Rice. Who we all know as lyricst on Aladdin. The format was used first for the British revival of The Sound of Music searching for the leading lady Maria and in 2008 Nancy was found for Oliver! In the US NBC viewers voted Laura Osnes and Max Crumm as the new Sandy and Danny in Grease That’s the backstory on to J? It happens not much that Disney songs are heard on mainsteam Dutch television/media. Dutch Disney voice actors and actresess who have stage success as musical preformer do their promo songs but like Tarzan even got a short TV audition for the lead male and the Dutch Beauty and the Beast stage show got lots of promo gigs. I heard Kala and Belle solos in last year’s “Op Zoek Naar Evita”. The way Belle/Jane understudy won and is now finalishing her tour as Evita. But those are musical versions of the film not the film songs themselves (the lyrics changed) so you can imagine the delight to hear a reasonable Go To The Distance 3 weeks ago. The same finalist, Mathijs, got to sing Proud of Your Boy last Sunday on the 4th live show. Rumors go that he might make to the final 3 but eventunally will be voted out in favor of Freek (Enjolras in Les Miz) or John (Tarzan understudy). He doesn’t have enough control over his voice, he trembeles in the long high tones and his text control like he puts the accent on the wrong words and his overal English isn’t that great. Deviant artist Anamated did a evil Mozenrath drawing for her friend Cassie August last year. Browsing her gallery I found Jas hangs out with Belle and Ariel having a tea party and Harry Potter likes to go as Aladdin for Hogward’s costumed ball.